Yolanda is grateful for the ESL tutoring that opened doors for her family. When her husband was deployed in Iraq, Yolanda found out she was pregnant with her first child. Months later, her son was born with four heart defects – requiring multiple surgeries to repair his tiny heart. After his recovery, the challenges continued as he was diagnosed on the autism spectrum. Yolanda, a native Spanish-speaker, wanted to make sure communication was never a barrier to getting her little boy the extra help he needed to succeed. Determined to learn to read and write fluent English, she turned to her local library for help. 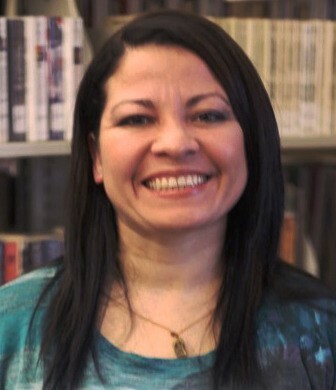 Yolanda is one of hundreds who have benefited from the Pioneer Library System’s Adult Literacy Services (ESL) program, funded by a grant from the Oklahoma Department of Library and other caring donors to Pioneer Library System Foundation. Pioneer libraries offer one-on-one tutoring services for both English as a Second Language students as well as native speakers of English needing practice. Little by little, word by word, Yolanda learned to read and speak English – opening a new world. Yolanda’s son is now getting the most out of his education because she can articulate his special needs to the school district. He is healthy, happy, and enjoys playing games with his younger brother. Yolanda also achieved her dream of becoming a U.S. citizen. She even became a tutor to help other ESL students. There are many more success stories like Yolanda and her family. If you would like to make a difference in someone’s life by volunteering as a tutor, please send an email to lits@pioneerlibrarysystem.org.